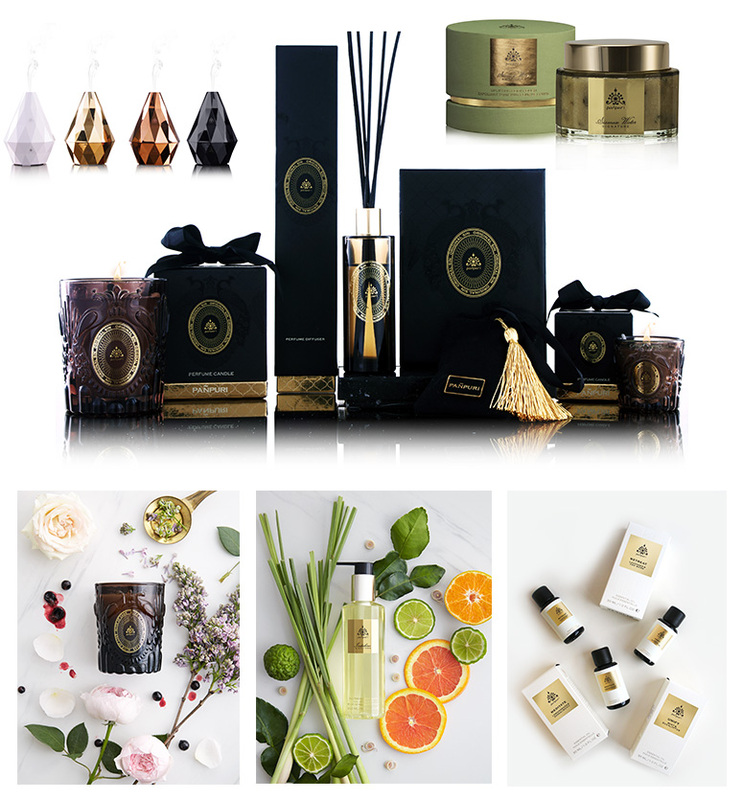 Panpuri is a Thai luxury skincare and home fragrance brand. It also produces custom products for high-end hotels and spas. Panpuri operates under its ‘beauty from within’ philosophy. Therefore the brand has paid special attention to selecting their natural and chemical-free ingredients. To make Panpuri a trusted and respected brand on the international stage. The brand pays great attention in sourcing their ingredients. Its products are now sold in leading department stores in Bangkok, major cities throughout Thailand and in 27 countries around the world. Founded in 2003. 12 years old. Austria, Denmark, Italy, Russia, Spain, France, Japan, Korea, Hong Kong, etc. - To make Panpuri the first brand that people think of when they think of organic spa products. - To become a leading spa and skincare brand in both Asian and Western markets. T Mark helps encourage the brand to create superior products and services as well as keeping up with its stance in using organic materials in all products. T Mark is also a credential that helps Panpuri become the trusted brand for both Thais and foreigners. The belief in the natural connection between the mind, soul, body and natural surrounding, has led this Thai brand to create its own premium products with a unique characteristic. After its official launch in 2003, Panpuri has become widely known for its quality. Today, the brand exports their products to 27 countries around the world. It has also extended the scope of its products and services to custom home fragrance and skincare design for leading hotels and spas. Panpuri has also opened up Thailand’s first organic spa to cater to health conscious customers who prefer all-natural products. Taking its cue from Eastern wisdoms of natural remedies that cleanse and connect the mind, body and soul; combined with the brand’s intention to change how consumers perceived beauty and skincare product, Panpuri started using organically grown plants and herbs with beneficial properties, sourced from all over Thailand. These main ingredients have added the unique Thai touch to Panpuri’s products. Together with Eastern plants and other rare ingredients such as organic Madagascan vanilla and Rose Absolute (pure essential oil extracted from rare Moroccan roses), Panpuri have managed to create products filled to the brim with quality. All of the brand’s creations have stayed true to the natural scents of the ingredients such as jasmine, lemongrass, ylang ylang and sandalwood, etc. Panpuri is aware of the effect a brand can have on the society, all of its products are manufactured with great attention to detail. No harmful, hypoallergenic chemicals have been used. The products are paraben free, SLS free as well as silicone and mineral oil free. As for the packaging, Panpuri selected only papers that have not be bleached and used eco-friendly soy ink. The key elements that lead entrepreneurs to success are understanding of the brand; knowing its value, strengths and weaknesses and knowing what consumers want. These factors can make a brand stand out amongst its competitors. Thailand Trust Mark helps encourage Panpuri to create superior products and services as well as keeping up with its stance in using organic materials in all products. T Mark is also a credential that helps Panpuri become the trusted brand for both Thais and foreigners. Setting a clear vision is like having a compass that guide the company in the right direction. Therefore, Panpuri has frequently re-examined and re-evaluated itself, looking for ways to improve. Its goal is to become known and trusted worldwide by consumers. All in all, the driving force that pushes Panpuri forward is its passion in what it does. Loving what it does has definitely motivated the brand to improve its products so that their loyal customers can consistently enjoy new products from Panpuri. Having an understanding in the brand, setting clear goals and falling in love with what it does, Panpuri has introduced many products to consumers with sophisticated lifestyle. Knowing the market, understanding customers and competitors as well as recruiting employees who share the same goals are essential to the success of the company. Panpuri’s credibility and positive image perceived by users both in Thailand and other countries is the result of the company’s credible reputation. Receiving T Mark has positively impacted the brand’s popularity. As a result, Panpuri’s products are sold in leading department stores worldwide. Shoppers can now purchase Panpuri’s products at France’s Gallerie Lafayette and BHV, Japan’s Isetan and Mitsukoshi, Korea’s Galleria and Lotte, as well as Hong Kong’s Lane Crawford.